Is Coconut Oil Good for Treating Candida Infection? - YeastInfection.Org by Eric Bakker N.D.
You are here: Home / Diet And Yeast Infection / Is Coconut Oil Good for Treating Candida Infection? The answer is – Yes, it is excellent for treating candida and affords many other benefits to our body. While you must have heard of the benefits of coconut oil against candida, you may have also found conflicting information regarding its use. Of course you would not want to take something that is, for example, said to be good for treating candida but bad for your heart. Considering the controversy that has surrounded coconut oil, it is important to weigh the available scientific evidence in order to make an informed decision about it. A study in 1970 concluded that there was a correlation between coronary heart disease and total cholesterol concentration. The cholesterol concentrations correlated with energy provided by saturated fat. After this study saturated fat was demonized as oil that if taken internally, would cause cardiac and other health issues due to its high saturated fat content. However, as many researchers have pointed out, “correlation is not necessarily causation” and as it was found later, there were many other un-accounted for factors that were the culprit. For example, most studies included in the 1970 study used hydrogenated coconut oil which is now known to contain trans-fats that are bad for health in many ways. Evidence is now mounting against the link between saturated fat and risk of cardiovascular disease. A recent detailed and critical analysis of studies (with a total of over 300,000 people studied), by scientists from USA, did not show any significant correlation between saturated fat intake and risk of heart problems. Not all saturated fat is bad and some even have beneficial health properties, says Theresa Dildy from St. Luke’s Medical Center in Texas, USA in her article that discusses evidence for and against dietary recommendations for prevention of heart diseases. She says that while lauric acid, a major component of milk and coconut and other tropical oils, may raise cholesterol it is mostly HDL-C (high density lipoprotein cholesterol) which is not harmful. Not all LDL is harmful either. In 1995, a study from US researchers showed that there are low-density-lipoprotein subclasses – small and dense type and large and fluffy type. They showed that the small and dense but not large and fluffy type LDL were associated with higher risk of heart disease – thus, raised LDL level alone cannot define higher risk for heart disease. In 1995, a study by researchers from New Zealand described beneficial effects of non-hydrogenated coconut oil, especially in women. Another study from Philippines published in 2011 suggested that coconut oil intake can improve the lipid profile in pre-menopausal women. Indian scientists in 2004 showed in their animal study that virgin coconut oil (VCO) lowered total cholesterol, lipoproteins and phospholipids and increased HDL-C. The authors attributed this effect to the biologically active polyphenols in this oil. Additionally, this could be because coconut oil is made up of medium chain fatty acids (MCFAs) which are easily metabolized into energy and does not majorly form or transport cholesterol. This mechanism was suggested by Dayrit in an article published in 2003 in Philippines Journal of Cardiology. c) an earlier study done by same group on migrant pacific islanders in New Zealand showed that the migrants had reduced saturated fat intake (from 50% on the islands to 41% in New Zealand) for energy combined with increased dietary cholesterol, carbohydrate and sugar intake and lower physical activity of a developed nation. Their lipid profiles now put them at higher risk for heart disease. We need to weigh any evidence in sensible terms – the above study does not say that coconut in diet is a solution to all heart based issues. The intended message from this study was that coconut based diets in underdeveloped countries were healthy and that there was no reason to prescribe a reduction in coconut intake to them. So, yes, difference in lifestyle is an important factor to consider. However, we must remember that simply shifting to coconut oil is not going to make a sedentary and unhealthy lifestyle healthier. It is wrong to assume that we can abuse our body as much as we want and some sort of pill/supplement/solution will take care of our health problems. This just will not happen. There is plenty of evidence that coconut oil did not deserve the demonization that it suffered in the last 2-3 decades. It surely does not have heart-disease causing effects and its beneficial effects are increasingly being recognized through research. However, as always, remember that too much of a good thing is not always good and different additional factors can increase (or even decrease) the benefits of anything. In this article we will further learn how coconut oil fights candida infection and how you can use other herbs and ingredients in combination to get the best out of coconut oil. To understand how coconut oil works against candida, we need to know what is there in coconut oil. The major components of coconut oil are the triacylglycerols (95%). A study showed that in virgin coconut oils (VCO), 46-48% of these triacylglycerols was lauric acid. Other major triacylglycerols found were capric, and myristic acid. The VCOs were also found to be significantly high in bioactive phenolic compounds as compared to the refined coconut oils. Triacylglycerols have been demonstrated to have antimicrobial properties – they kill the microbial cells that have a certain kind of cell wall structure by entering the cell wall and destroying the cell membrane. Capric and lauric acid: A study by Icelandic scientists in 2001 described the mechanism of action of capric and lauric acid mediated killing of candida and found that these were able to get inside the cell without destroying the cell wall. They destroyed the cell membranes and the insides of the candida cell shrank and became disorganized causing the cells to die. They found that while capric acid was the fastest at killing candida, lauric acid was effective at lower concentrations and took longer time. Caprylic acid: As early as 1961, a Japanese scientist demonstrated the potent anti-candida activity of caprylic acid. He showed that caprylic acid was very active against candida at slightly acidic conditions. Myristic acid: Our normal skin is covered with lauric, myristic and other fatty acids which control the microbes on the skin. Other than killing the microbes directly, these fatty acids also maintain the acidic pH of the skin thereby producing unfavourable condition for growth of microbes. We know that candida hates acidic pH. Thus, coconut oil that contains these acids can provide the anti-candida effect not only by killing it, but also discouraging its growth. Adding some other factors to a coconut oil treatment improve its candida killing effects further. This can especially be recommended if you have been suffering from candida for a long time. One factor, for example, is undecenoic (undecylenic) acid which has been found to stop the change of the yeast form of candida to the filamentous form. In synergy with the function of fatty acids from coconut, undecenoic acid can provide a combinatorial effect against candida. Other candida killing compounds like extracts from garlic, neem leaves, grapefood seed, or Pau d’arco can add to the effectivity of coconut oil through their different modes of action. A great source of these additional factors and more is Canxida. Anti-inflammatory, analgesic and antipyretic effect: In 2010 by Thai scientists published a report where they studied pharmacologic properties of VCO. They found moderate anti-inflammatory effect, moderate pain-killing (analgesic) effect, and fever-reducing (antipyretic) effect in rats with acute inflammation. Liver-protective effects: A 2011 study from Malaysia reported the liver protecting role of VCO against paracetamol induced damage of liver in rats. As a higher dose of VCO was needed to show liver-protective effect, it is thought that either VCO exerts this effect through the molecules that escape digestion or due to higher concentrations of other compounds in the oil. Antibacterial activity: Coconut oil at 5-40% concentration, incorporated in a cream base and applied to skin, has been observed to have microbe killing activity. While VCO does not have antibacterial activity on its own, its components (lauric, capric and caprylic acid) do – this has been shown by a 2013 study from USA. This is an important activity even in the terms of fighting candida. We know that there is disturbance in bacterial flora (dysbiosis) when there is candida infection. So, if coconut oil has antibacterial activity, then would it not increase dysbiosis? We will discuss this in a bit of a detailed manner here as it directly relates to candida. So, what is the mechanism of antibacterial activity of VCO? The active lipid components are released during early digestive/enzymatic processes – also on the skin due to presence of normal bacteria and our own enzymes. Additionally, monolaurin is formed when certain enzymes act on lauric acid. Monolaurin is more antibacterial as compared to lauric acid. However, how much monolaurin actually can be formed in the body has not yet been quantified – according to one scientist, Jon Kabara, it is not more than 3%. He says that to reach the pharmacological effects provided by Lauricidin (commercially available monolaurin, discovered by Jon Kabara), 100-300mL/day of coconut oil intake would be required. There are two different kinds of bacteria – Gram positive (GP) and Gram negative (GN). GP and GN bacteria differ in their cell wall structures. The GP membranes are more susceptible to the effect of fats, while the GN cell wall does not allow fats to enter and disrupt the membrane.There is a study from 1991 which is generally cited showing that monolaurin kills only GP bacteria and not GN bacteria and this difference is interpreted to indicate that monolaurin selectively kills only bad bacteria. However, it is a fallacy to classify GP bacteria as the bad guys and GN bacteria as the good guys. There are helpful good bacteria like Lactobacillus and Bifidobacterium that are Gram positive, and there are bad GN bacteria like food-poisoning causing strains of E.coli and ulcer causing H.pylori. So, both coconut oil and monolaurin will kill some of the good bacteria. But that is why one should have probiotics along with anything that has microbe killing effect. Coconut oil, in our opinion, has more holistic beneficial effects in fighting infection as compared to any single component. The complexity of coconut oil components that act in synergy against bacteria along with immunity improving and anti-inflammatory functions definitely provide a competitive edge to it. Antiviral activity: Coconut oil acts against many different viruses. The MCFA from coconut oil destroy the viruses by disrupting lipid-coated membranes of viruses like influenza and hepatitis C virus. They are also known to also interfere with assembly of viruses and their maturation. Lauric acid is more active against these viruses than caprylic, capric or myristic acid. Coconut oil has no known side-effects. However, not being used to fat in your diet could cause you to get diarrhoea. To avoid this you should always start with a low dose of coconut oil in your diet. Coconut oil soap with hypochlorite has been shown to have anti-biofilm activity against the bacterium Streptococcus mutans and Candida when brushing dentures with the soap. Coconut oil has insect repellent activity. Lauric acid, a major component of coconut oil is shown to repel ticks. Coconut oil is known for its skin moisturizing effect and providing shine to hair. Why does coconut oil work so well against candida? Coconut oil works well against candida due to the combination different fatty acids that function together against candida as already described above. What is coconut oil more effective for external or internal candida? How long does it take for coconut oil to treat candida? How much coconut oil to take to kill candida? Coconut oil will start its effect soon after you have started taking it. That is why we recommend that you take your coconut oil diet slow as you do not want severe die off effects. The higher your infection, stronger your die-off symptoms will be. Start with a half to one teaspoon of oil, three times a day and gradually increase it every week or so to 3 tablespoons per day. If you have a major candida infection, stay on this dose for 2-3 weeks. You should increase your dose based on the die-off symptoms – once the symptoms set in, hold the dose and only once the symptoms are gone start increasing the dose. Make sure that you take coconut oil in few doses over the day and not in one go. It is recommended that you include some coconut oil in your diet on a long term basis as it has many benefits apart from getting rid of your candida infection. How do I know if coconut oil is working? Based on the outcome. Make sure to give it time as discussed. Can candida become resistant to coconut oil? No. The beauty of complex natural products is that they contain different compounds that act in different ways. Coconut oil contains lauric, capric and caprylic acids all of which have anti-candida activity – although these function in more or less the same way in killing candida, they still are different chemically. Anything that can kill a microbe outright would not allow the microbe to develop resistance to it. Thus, the high potency and complex nature of the anti-candida compounds in coconut oil will not allow candida to become resistant to it. What is the best time to take coconut oil for optimal results? For best results, coconut oil should be taken in divided doses during the course of the day and not as a single dose. So, you should take coconut oil with every meal (considering that you take more than 2 meals a day). For what type of candida infections is coconut oil good? Coconut oil is good for treating all kinds of candida infections – gut, mouth, skin and vaginal infections all respond to treatment with coconut oil. How to use coconut oil to treat candida? Dietary: You can include good organic VCO in your diet. You can have the coconut oil plain, or add to smoothies and salads. You can also include VCO in your cooking. Coconut oil works very well in South Indian and Thai curries. Coconut milk can also be used in the curries although you should remember that it has 1/6th the content of beneficial fatty acids as compared to coconut oil. You can also eat fresh coconut meat just by itself for some of your coconut oil requirements. You can also use some organic copra in your muesli, or roast it and mix it with your nut snack. The thing is, coconut is very versatile and can be used in different forms in your diet and it will provide you with the fatty acids to fight candida – be creative in your use of coconut to reap the benefits of its oil. Skin: VCO can be applied to the skin, to treat candida infections of the skin. You can rub enough oil well onto the affected areas. You can also add a few drops of oregano oil to the coconut oil to provide supplementary candida killing effect. Apply twice daily and do not give up until totally cured. Can coconut oil cause candida die off? If yes how and why and what are sort of die off symptoms can one experience and how to work around it? Yes, coconut oil can cause candida die-off symptoms. The most common symptoms can be stomach upsets and diarrhoea. This is for the body to clear out the toxins. The symptoms can also be flu-like in nature, can vary in severity for different people and generally last only for a few days. Die-off symptoms would especially happen if you take too much VCO causing the candida dies off faster than your body can clear the toxins from the dead candida. That is why you are recommended to start with low amount of coconut oil and very gradually increase it. Oregano oil and coconut oil in combination are they good? Yes, oregano oil has been shown to have anti-candida activity itself. 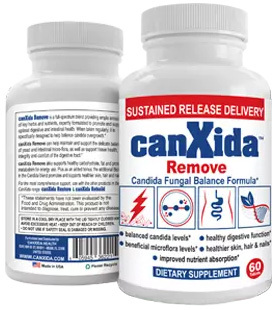 A good combination of different anti-candida ingredients can result in immediate killing of candida – which also prevents development of resistance. Additionally, coconut oil is also a good emulsifier and can function as a good carrier of oregano oil to the different parts of the body. CanxidaRemove contains oregano oil as well so incorporate some canxida in your diet. Is coconut oil ok on candida diet? Can coconut oil complement existing candida diet? Yes, it is perfect with candida diet. Coconut oil does not interfere with your candida diet, but can actually complement your candida diet through its immune boosting and anti-candida activity. What is the best way to use it in my diet? Best way to use coconut oil in your diet is to have coconut in as many ways possible – this will not only prevent you from getting bored of the diet, but also provide you different natural components of coconut that can boost your health in different ways. Adding to different foods, cooking in coconut oil, using coconut products in your baking and meal preparations, chewing on good quality coconut meat etc. can help you include the benefits of coconut oil in your diet. Coconut oil and lemon juice for candida is it a good combo? You can add coconut oil to lemon juice and have it. Apart from providing a different way of having coconut oil, lemon also stimulates peristalsis (movement of intestines) and thereby digestion. Lemon juice also helps flush kidney and liver of any toxins and is therefore recommended as the first drink you have during the day. When taken in combination with coconut oil, lemon juice can also help you flush out candida toxins from die-off. Is it good to take coconut oil bath does it help? While coconut is great solution, I have not found any research on bath with coconut oil. However, as stated earlier in this article you can use it as skin moisturizer. What form of coconut oil is best (capsules or oil or what)? Coconut oil capsules are not good value for a few reasons. Coconut oil is rather stable oil and you need not worry about it going bad in a hurry to call for capsulation. When you have coconut oil capsules, you also ingest the capsule material. You can use coconut oil in many forms, capsules you just have to swallow. The lure of coconut oil capsules for some is avoiding the smell of coconut oil. However, we must not forget that digestion starts from mouth and the beneficial properties of coconut oils will be released upon its digestion. Skipping a part of the digestive system while taking a natural product may not be the best thing to do if we are looking for its best functionality. I have heard about coconut oil suppository. Are they useful and do they work for vaginal yeast? Yes, you can make your own coconut oil suppository for vaginal yeast. These function by providing lubrication, anti-inflammatory effect, and anti-candida effect already discussed under the section on how coconut oil fights candida. Is cooking with coconut oil okay? Yes, coconut oil is excellent cooking oil. This is because it has a high burning point – so you can heat the oil to cooking temperatures without the risk of oil getting damaged and transforming into the dangerous trans-fat. It can be used alone or mixed with some butter or lard other good fats. What is the difference between coconut water and oil? Coconut water is the clear water from inside the nut while coconut oil is produced from the meaty part of coconut. Coconut water is a good source of nutrition with respect to vitamins and essential minerals and other nutrients. However, coconut water contains only limited amount of fats. Thus, nutritive coconut water can be supportive in your anti-candida diet, but it will not function in the same way as coconut oil in fighting candida. Can I just eat coconut instead of taking the oil? Will it have the same effect? It is always a good idea to combine eating coconut with taking coconut oil as doing so increases diversity in your diet apart from providing other nutrition and beneficial compounds that are not present in the oil. Eating coconut will also provide you same fatty acids to fight candida that are present in coconut oil, however, the amount of fats will be lesser compared to what you get from oil. Oil is a concentrated source of these fats. What is the difference between different forms of coconut oil or are they all the same? Different forms of coconut oil all are produced from coconut. There are differences between which part of coconut is used, how they are processed and their final chemical composition. Hydrogenated Copra Bullock pulled mill or mechanical mill (expeller pressed) Refined oil is hydrogenated to make it stay solid at higher temperatures. Low, as made from refined oil. Extra Virgin No standards have been defined for extra virgin coconut oil. The existence of extra virgin coconut oil is doubtful and controversial. It must be noted that the processing of oil for purifying it involves high heat which is likely to destroy important active components (like phenols), chemical (solvent) extraction – which might leave traces of these chemicals in the oil. Hydrogenation process also creates trans-fats which are harmful to our body. Which oil is best for candida – refined or unrefined coconut oil? Unrefined, unbleached virgin coconut oil (VCO) is recommended for candida. This is because you would want to have the best product that has all the goodness and benefits – a product that is minimally processed and minimally damaged. Refining and other processes usually affect the quality of coconut oil by removing beneficial phenolic compounds (which are anti-oxidants) and possibly incorporation of processing chemicals. Additionally, hydrogenation increases the trans-fat content of the oil which is known to be harmful to the body in many ways. Heated oil can cause a lot of free-radical damage, can damage your own cell membranes by incorporating the bad fats into them. How can you know if you are using the best coconut oil? Read the description on the coconut oil bottle. Best oil is organic virgin coconut oil. It should be properly certified organic and virgin oil. If there is no description and only mentions “coconut oil” it is likely to be RBD coconut oil. Under no circumstance use hydrogenated coconut oil. Do not use “liquid coconut oil” as it does not contain any lauric acid at all and it is lauric acid that gives much of the antimicrobial properties to coconut oil. Coconut oil tastes disgusting what should I do? First of all find out whether it is taste, or the consistency that you cannot tolerate. Coconut oil is solid at room temperature and this makes it difficult for some people to take the coconut oil directly. If this is your issue, then warm the oil up a slight bit. If on the other hand, it is the taste you dislike – first of all check if the taste is like fresh coconut. If the oil does not have the gentle flavour of coconut and smells strongly, it may not be good. VCO should normally have the flavour of mature coconut – a flavour that you will also find in coconut milk. If you do not like the natural flavour of coconut, then you should try mixing the oil into smoothies and other meals. Sometimes it can just be a mental block because of not being used to the aroma. Start with small amounts. Many people actually start liking the taste of coconut after they get used to it. What about Coconut oil enema? Please refer to our coconut oil enema section on our comprehensive enema article page. Is it possible to be allergic to coconut oil? According to Australasian society of clinical immunology and allergy, allergic reactions to eating coconut, although rare, are possible. Contact allergic dermatitis to coconut products is more common though. The substances that trigger allergies are proteins. Pure virgin (unprocessed) coconut oil has no reported reactions and is not allergenic. Which brand is the best brand to buy? Unless you live in or know someone in a country where they extract coconut oil and you are sure of their reliability, it is advisable to go for reliable and reputable brands. Make sure that you read the labels carefully to know what it is that you are buying. How much to pay for a good coconut oil? The price of coconut oil depends on many factors like availability, demand, quality and quantity. For example, it is definitely cheaper where it is produced than when it is imported. RBD oils are much cheaper than virgin or organic virgin oils. What is the best way to store coconut oil? It is good to store coconut oil in airtight containers to prevent the oil from becoming rancid – although coconut oil is known to be rather stable and less prone to rancidity, it can go bad if you use dirty cutlery to scoop it out or it gets some contamination that grows on it. The storage jar should have a broad mouth for ease of scooping out. Coconut oil can be stored at both room temperature and in the fridge. If you store in the fridge, it will be more difficult to scoop out. If ever your coconut oil has a strange taste and flavour, you should throw it. Coconut oil vs caprylic acid what is better? Coconut oil has good amounts of caprylic acid by itself. However, taking extra supplement of caprylic acid would aid in your candida treatment as the natural coconut oil will vary in its content of caprylic acid from batch to batch. Another reason to take caprylic acid is to avoid getting tired of the taste of coconut. When you take coconut products for a long time there is also a possibility that you get allergic to coconut. Therefore taking a break from coconut products and taking caprylic acid in a formulated form can be useful. Does caprylic acid affects friendly bacteria? Caprylic acid will affect Gram positive bacteria more than Gram negative bacteria. Although there are few bad bacteria that are Gram positive, there are also beneficial Gram positive bacteria like bifidobacterium and lactobacilli that live in our gut. So, yes, when caprylic acid (and other fatty acids) from coconut oil start killing candida, it will also kill some good bacteria. That is why it will always be a good idea to include probiotics (Canxida Restore) in your diet while on your path to fighting candida. Basically what you want to do is kill the candida and some bacteria (also maybe some good bacteria), but then you replenish the good ones. This way you will make sure that you take care of your dysbiosis as well as a slight reduction in good bacteria because of antibacterial action of coconut oil. Are Coconut oil and coconut butter the same? What is better to take? No, coconut oil and butter are two different things. Coconut butter contains coconut meat and also possibly some added coconut oil. Some find coconut butter easier to have than coconut oil. You can make your own coconut butter by blending shredded coconut – this way you can avoid any additives. It is good to use coconut in different forms – so combining an intake of coconut butter with some coconut oil is a good idea. Is coconut oil detox good? If you are desperate to get rid of your candida infection, you might be tempted to do a coconut oil detox. This is most definitely not recommended if you have a candida infection. It is extreme for your body when you do a coconut oil detox – with 2 tbsp VCO every two hours making up to 14 tbsp per day. The detox can give you horrible extreme symptoms. What you are looking for is steady improvement in your condition with a cure that lasts. Extreme diets/detox make the body suffer – a stressed body does not heal itself and on the contrary can allow opportunistic microbes an environment to thrive in. And the video below covers the exact same theme (QUICK FIXES) make sure to watch it. If I missed anything regarding coconut please leave a comment below and I will get back to you. Once you get rid of vagunal yeast infection what is recommended for daily maintenance to avoid future infections?